The Rotary Youth Program of Enrichment (RYPEN) in Rotary International District 9800 is a Youth Leadership conference for young people who are between 15 and 17 AND are year 9, 10 and 11 students. The conference is a weekend long camp designed at developing young people’s potential through a mixture of lecture style sessions and adventure-based learning. RYPEN is designed for students who are seen as the upcoming leaders in your school, not those students who are already leading and achieving amazing things or those at the bottom end, but those students who just need a bit of a push and a confidence boost to start achieving at their full potential. RYPEN has as its principal aim, to communicate to young people taking part in the program a series of ideas, problems and social experiences which will assist them in forming their own values and moral standards and allow them to broaden their horizons culturally, socially and academically. Nothing is forced upon the young people – they are free to discuss and interpret what they experience and above all, the Rotarians or Leaders who are involved in running the conference do not patronise them. RYPEN is located at the Doxa Youth Foundation’s Malmsbury Camp. The Doxa Youth Foundation in a not-for-profit initiative that, through the lens of positive life experiences, education opportunities and employment pathways, assist young people to aspire to and achieve personal greatness. 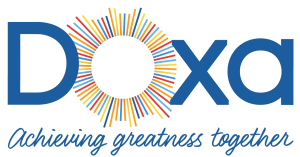 RYPEN in Rotary District 9800 is very proud to support Doxa by running our conferences on their site. For information on attending RYPEN please contact your local Rotary Club. Rotary and Rotaract Clubs in District 9800 will receive information on sending applicants to the conference in the months following the program. Applications are only available through direct contact with a Rotary Club; we do not accept applications directly from individuals. Copyright © ROTARY INTERNATIONAL DISTRICT 9800 INC.